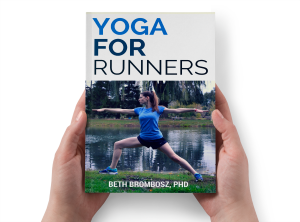 One of the most important lessons I have learned from my yoga practice is how to be mindful. 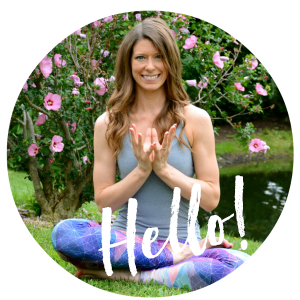 I’ve been able to translate the lessons I learned on my mat to everyday experiences, which in turn has helped me reduce my everyday anxiety and has helped me feel happier and more at peace. When we’re able to be aware of negative thoughts we may be having about ourselves or others, it’s easier to stop them and to instead see the situation we’re in for what it really is. 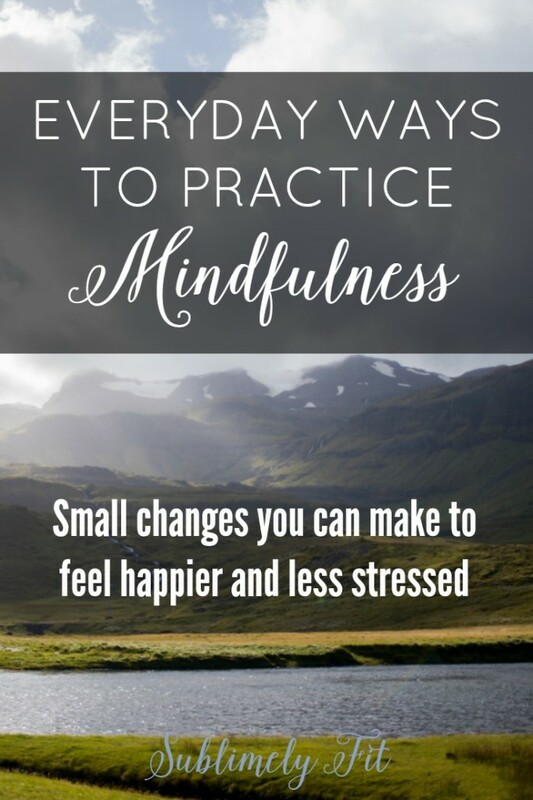 Today I want to share some everyday ways to practice mindfulness, including examples of how I try to be mindful on a daily basis. When we’re mindful, we’re aware of the moment we’re in. Instead of getting swept up in thoughts and emotions, we are conscious of the fact that we’re feeling and thinking in certain ways, and we’re able to control our thoughts and reactions. It’s incredibly hard to do at first, particularly for those of us who feel like we’re “in our heads” all the time. Over time, we learn to see our thoughts, emotions, even things like our bodies not as “good” or “bad,” but as simply existing. What’s the big deal about #mindfulness, and how do you practice it daily? Driving is a perfect example! It’s so easy to get caught up in thinking that the person in front of you cut you off because they’re a self-involved jerk. I know I’m tempted to spew obscenities at other drivers in Chicago-area traffic all the time. But, when I’m able to catch myself doing it, I try to keep in mind that it’s just traffic, and that in the long run getting angry isn’t solving any problems. I calm down my angry thoughts by taking a few deep breaths, which pretty much always makes me feel better. Put down your phone! I confess, I’m really bad at this. We get so obsessed with what’s going on with social media and email, which makes it hard to really focus on being present in the here and now. Yes, many of us need our phones and even need social media for work, but try to be more aware of the times when you should have your phone out and when you shouldn’t. Try to start by putting away your phone at meals and at other important times with friends and family. Silence the alerts on your phone so you won’t be tempted to check it. Or, better yet, leave your phone in another room entirely. Think compassionately. Knowing that my point of view doesn’t represent what others are experiencing helps me be more forgiving of others, and it helps me to control thoughts and feelings I might be having about how others have treated me. Sure, the person in line ahead of me at Starbucks may have been incredibly rude, but maybe she’s got a lot on her mind that I don’t know about. We often jump to assume the worst about people, and mindfulness has helped me control the urge to think negatively and instead think compassionately. Stop beating yourself up about the past. I struggle with this one a lot, personally. I tend to be very self-critical, and I often find my mind thinking about how I didn’t choose the right words to say something to a friend the other day, or even about how I could be a bit of a mean girl back in middle school. Unfortunately, we can’t go back and change what we’ve done in the past. Our time is better spent focusing on what we can do in this moment to make the future better for ourselves and others, instead of beating ourselves up about things that we can’t control. Stock photo by Bethany Legg for Unsplash. I’d love to hear examples of your everyday ways to practice mindfulness. You are so amazing with mindfulness and finding inner peace, which is one of the many many reasons I love your blog. And I can’t wait to read your book! I really need to do more of this! I get crazy anger while driving too, but I’ve been trying to remind myself that it’s no biggie if someone cuts me off. When I’m training, I find that I am so much better about this. That said, I did a lot of just sitting and soaking in the environment on my vacation. It was glorious just feeling the sun.